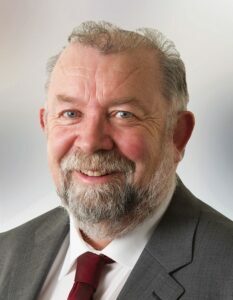 John is a hardworking and reliable public representative, and was first elected to Clare County Council in 1999. He is married to Seppie and they have two grown up children. John is intimately involved in all aspects of local community life at all levels. He also runs the local supermarket along with his children. Among his numerous achievements is the spearheading of the opening of the Sixmilebridge Railway station, which resulted in the opening of the old railway station for the local scouting group. He is also past president of the Shannon and district Lyons club. John has worked to gain many positive developments for Sixmilebridge, and as a result of his tirelessly campaigning, he has secured a new, much needed and eagerly anticipated National School for Sixmilebridge. This project is at the brick and design phase of development currently and is due to be completed by 2016.